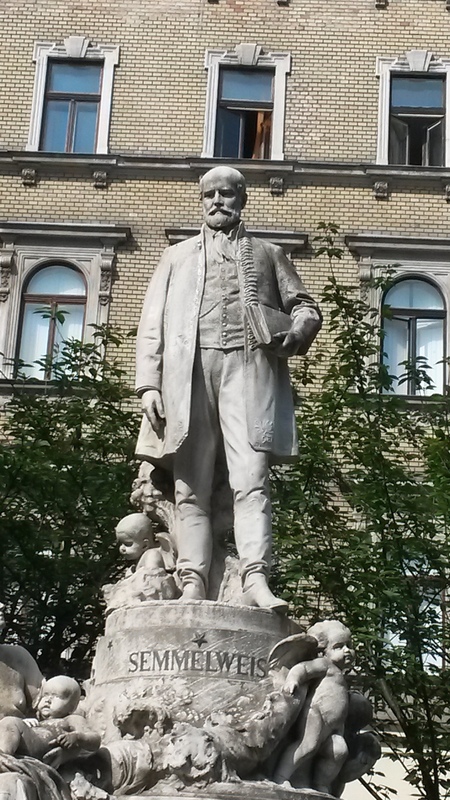 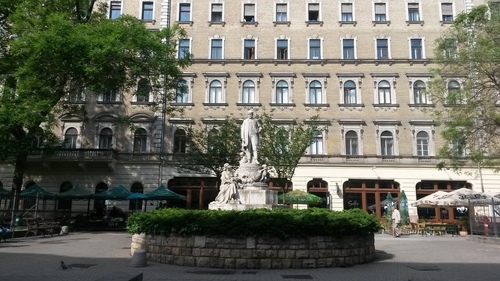 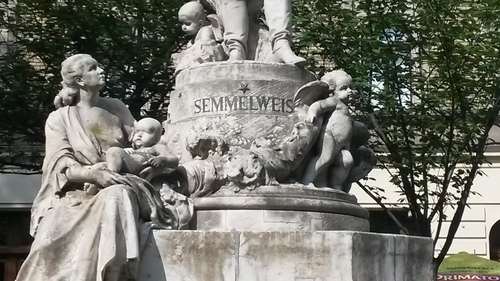 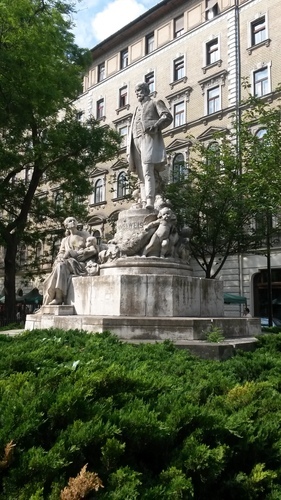 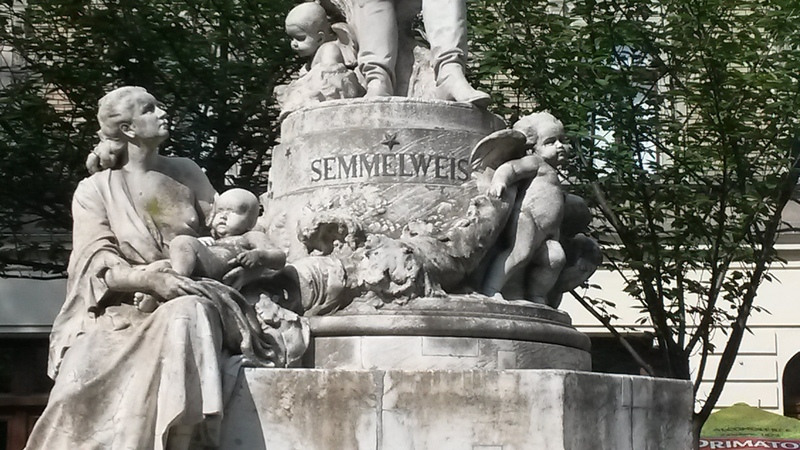 This beautiful marble monument of Ignaz Semmelweis was sculpted in 1906 by Hungarian sculptor Alojs Stróbl. 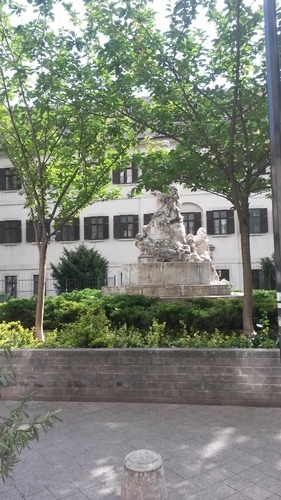 It can be seen in front of Szent Rókus Kórház (hospital) in Budapest (VIII. 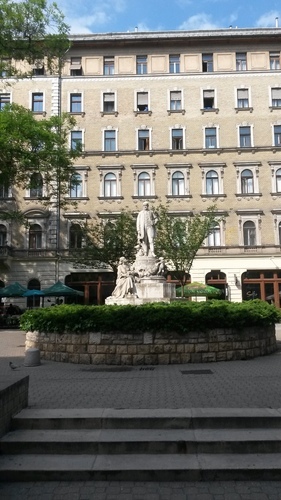 kerület, Gyulai Pál utca 2) where Semmelweis worked for a few years (1851-1857) and introduced his methods for the prevention of puerperal fever.